The origins of the universe have been a topic full of a secret for humans since the same time, though many of the many scientific types of research conducted to understand the origin of the universe was born, then the Big Bang theory was considered to be universal. If we asked the people around us how the universe was born, then the two answers get more to listen to us. First, the universe has been created by God, although this answer is religious and the logo shows the deep faith in God. Second, this answer from Bigbang, the origin of the universe, is entirely inspired by science and scientific principles. The birth of the universe is a question related to God's faith by God and it is therefore religious and logical that people will not comment on it. Now the question is, what is the origin of the universe in Vastu by Bigbang? This question is complex in itself. How did Big Bang happen? This question is even more complicated than that. We have three dimensions of space and time is the fourth dimension. We all have these four dimensions. We understand the three dimension well, but our information about the fourth dimension is still incomplete. We see and understand our world in three dimensions, which we call by the name of the length, breadth and height (depth). Modern scientists have considered time as a dimension. We look into our world and find that nothing is happening automatically, that means that nothing is going on automatically, it is not going to happen automatically, it is trying to understand it through a creative work. Suppose we have to drink tea then we will have to make tea, water, sugars, TeaPati will have to boil it together and boil it and then milk it in it. Then tea will be produced, tea will be produced through a simple process. But have anybody seen it or have tried to think that the quantum level inside the tea But what's going on? Great physicists like Stephen Hawkins believe that in order to understand the origin of the universe or Big Bang, there is no need to find space in the place where Bigbang has happened. When you see the quantum level inside your tea or anything, you can see Bigbang Understanding mysteries can be of great help. Within tea, at a quantum level, many of the wormholes are formed and destroyed. The process of construction and destruction of Vermont is in many phases and many dimensions (about 10 dimensions). This wormhole also presents a lot of energy with you. is. A wormhole is negligible in the coming, They are also not sustainable, they are formed in the trillions of seconds, still, they present energy and are destroyed by their own feedback (a type of radiation). Thus the continuous process of construction and destruction of wormhole continues. Steffens Hawkins believes that Vermohol is destroyed due to its radiation because its size is very negligible if the size of the wormhole is larger then they can not be destroyed by their radiation and they can present so much energy on some point that Bigbang Such situations become overwhelming. It is the physicist Stephen Hawkins's own concept of what he had given in the 1960s-70s on the basis of statistics related to his experiment. His concept strongly supports that the universe was born of the Big Bang phenomenon. Although modern research is continuing, researchers have no valid reason to believe or not to accept this concept. 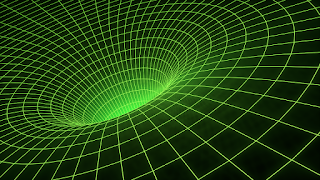 Wormhole: Wormhole is a fine hole or hole in this universe, where all the geometries of time and space are unified, that is, the conversion of time and space between each other is possible. Due to all the generations of time and space becoming one, all the dimensions in this entire universe are contained on that point. The fundamental wormholes are of very subtle shape, at the microscopic level their size is estimated to be 10 -35 meters. Researchers believe that because the universe is spread, the size of the wormhole can also be increased. 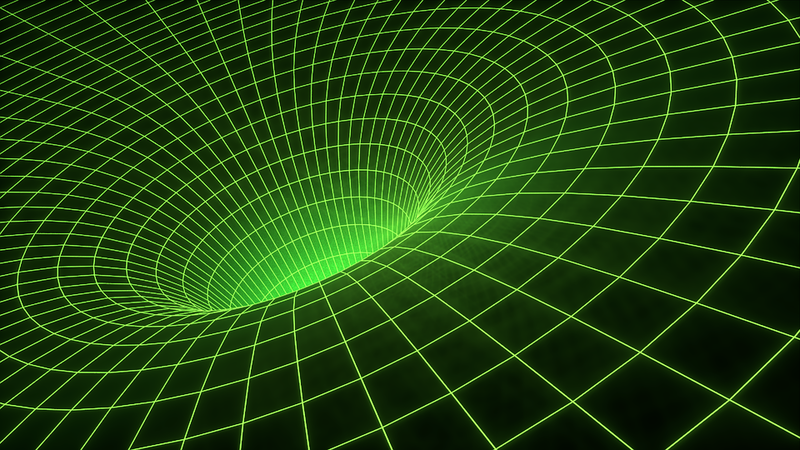 Many physicists believe that time travel is possible if the big wormhole is made. Length, width, height, and time are all the dimensions of existence in front of us. But the biggest problem is to understand and define the existence of other dimensions. Researchers also believe it is impossible to imagine any other dimension than the four dimensions. Although the string theory implies the existence of the dimension from the dimension to the 26 dimensions. The principle of Kaluza Kellin states that in addition to the three simple dimensions of space, other dimensions exist. In support of this, renowned scientist Richard H. Bryant writes in his work "Other Worlds" that for any other world-like universe, beyond its physical dimensions, it is necessary that apart from the four dimensions there are other dimensions. 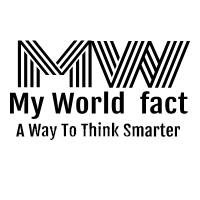 This dimension will not cover direct dimensions, but each new dimension will be located on the right angle of each other. They say that although this type of ideology is not possible in principle, it can still be shown mathematically. According to them, if an invisible world or universe is actually beyond the visible dimensions beyond the reach of physics, then it must be made of the fifth, sixth, seventh and eighth or more dimensions. In this way, if we imagine an invisible universe, then, in reality, we are imagining other dimensions.